A beautiful stag on a design wall decoration ! A touch of nature and Zen with this animal metal deco. The dimensions of this design metal decoration are 36 x 69 cm. This metal contemporary stag is delivered free in metropolitan France and Belgium. 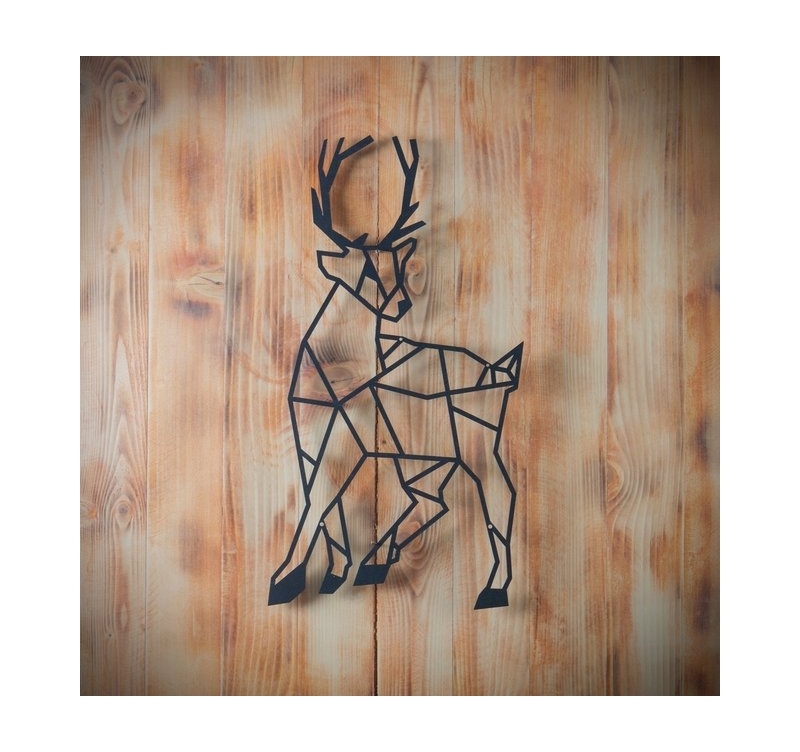 Forget the deco animal heads and go for a unique standing stag on a metal wall decoration. With eyes that catch your attention this metal Zen wall decoration will be the perfect object for an animal nature interior. Better than the real thing, this contemporary stag plays with geometrical lines to create an original metal design sculpture. All our modern Zen animal deco are hand made by our creators and treated with a black finish for a long lasting quality. This design metal wall decoration is wrapped in foam and in a protective cardboard box for a safer delivery.